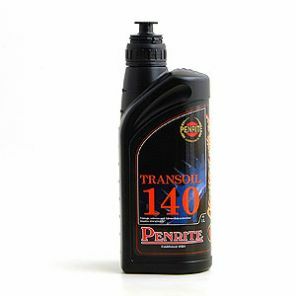 Penrite Transoil 140 is a non additive gear oil for gearboxes and axles of medium to large size 1920's and 1930's cars. The equivalent of what was called 120, 140 and 160 grade. Penrite Transoil is a range of 'straight' or non additive treated oils suitable for use in either straight bevel, spiral bevel or worm gears. The choice of viscosity is very much affected by individual design requirements. For most gearboxes the lighter the oil the easier the change. The Transoil range is available in 20, 5 and 1 litres. We stock Transoil 140 in 1 litre and Transoil 250 in 5 litres and 1 litre. Please get in touch if what we stock is not what you are looking for. We may be ablel to help.